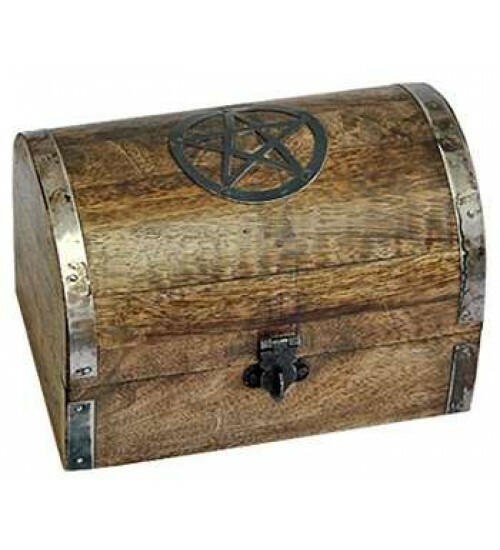 Add this hand made wood box to your altar to hold all those small supplies that tend to get lost - candles, gemstones, matches, etc. 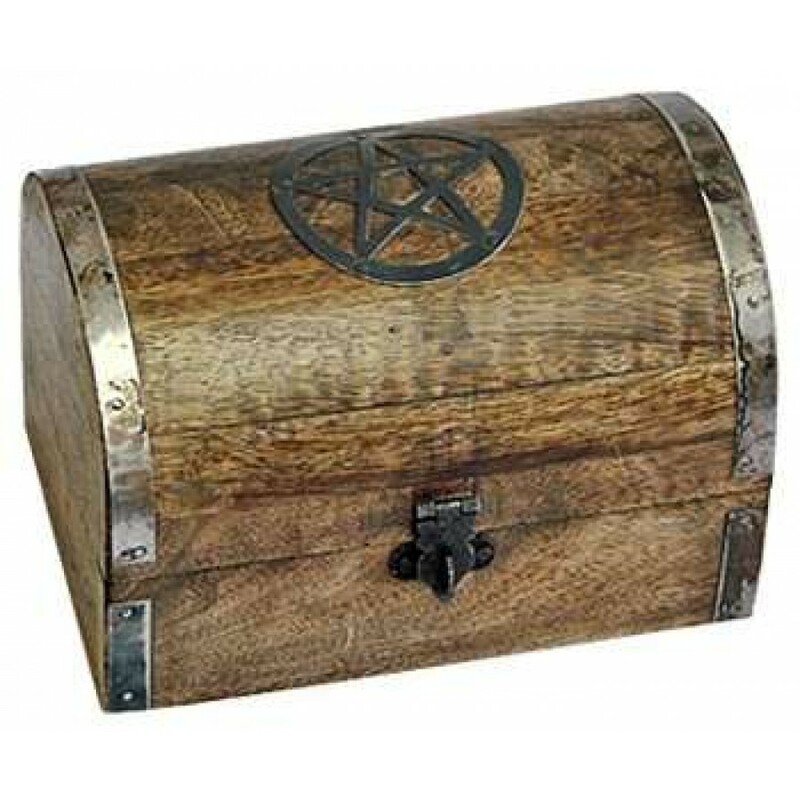 This small wood box is handmade in India with metall hardware and inlaid pentacle on top. 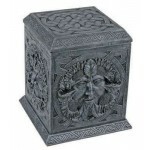 Perfect as a spell or altar box. It is 4 inches high. Wood and designs may vary slightly from photo on hand made items. Item Number: OI-WBX92 | Approximate Size (Inches): 6.00 wide x 4.00 deep x 4.00 high | Approximate Shipping Weight: 1.00 lbs.